Haz click aquí para leer mi artículo publicado en The Dallas Morning News y en Al Día Dallas Paletería de Bishop Arts debe mudarse por alza en la renta. Read story in English here. “Dallas — Entre cafés, restaurantes de BBQ, boutiques sofisticadas y bares con mesas al aire libre, La Original Michoacana es como una aguja en un pajar. Pero la nevería deberá dejar su ubicación entre las calles Davis y Bishop el 31 de julio de este año, desplazada por el encarecimiento del Bishop Arts District. Haz click aquí para leer mi artículo de una colaboración con Naomi Martin de The Dallas Morning News y publicado en Al Día Dallas Acusado confiesa que mató a hombre por robarle $80 mientras estaba drogado. “Michael Márquez Maceda apuñaló mortalmente a un extraño de 64 años hace un mes. No está orgulloso de ello, pero admite que lo hizo. El larguirucho y tatuado inmigrante cubano dice sentirse consumido por el remordimiento mientras está recluido en la cárcel del condado de Dallas bajo un cargo de homicidio capital. Click here to read my story collaboration with Naomi Martin published at The Dallas Morning News and Al Día Dallas After fatally stabbing stranger while high, Dallas man says he’s filled with regret. “Michael Maceda fatally stabbed a 64-year-old stranger last month. He’s not proud of it. He’s not happy about it. But he admits he did it. Click here to read my first story published at The Dallas Morning News, Bishop Arts nevería forced to move as hot property market melts profits. “Surrounded by the Bishop Arts District’s cafes, barbecue restaurants, eclectic high-end shops and bars, La Original Michoacana is like a needle in a haystack. EL PASO – Ebenezer Anom’s passion for nursing developed when he was a child in Ghana from a visit to a hospital where he was impressed by the activity of the nurses. Despite his parents’ disapproval because nursing is seen as woman’s work in his native country, he is now finalizing his senior year in pre-nursing at the University of Texas at El Paso. He came to UTEP after acquiring a bachelor’s degree in computer science and communication at the University of Duisburg, in Germany. “After my first degree I worked for about three years and then I realized my passion in nursing was stolen from me. So this was the point where I asked myself if I wanted to continue what I was doing or go into what I am passionate about,” said Anom. Anon’s motivation to pursue nursing comes from his wife and his two small children, waiting for him back home in Ghana. At the same time, he says he constantly feels the pressure of balancing his academic responsibilities, paying for tuition and his living expenses here and also sending a little money back home to his family. He currently lives with a brother, who serves in the U.S. Army. In addition to his 12-hour class load, Ebenezer also works as a student employee at the Office for International Programs. He says he faces special challenges as a non-Hispanic international student in a bilingual, bicultural border community. 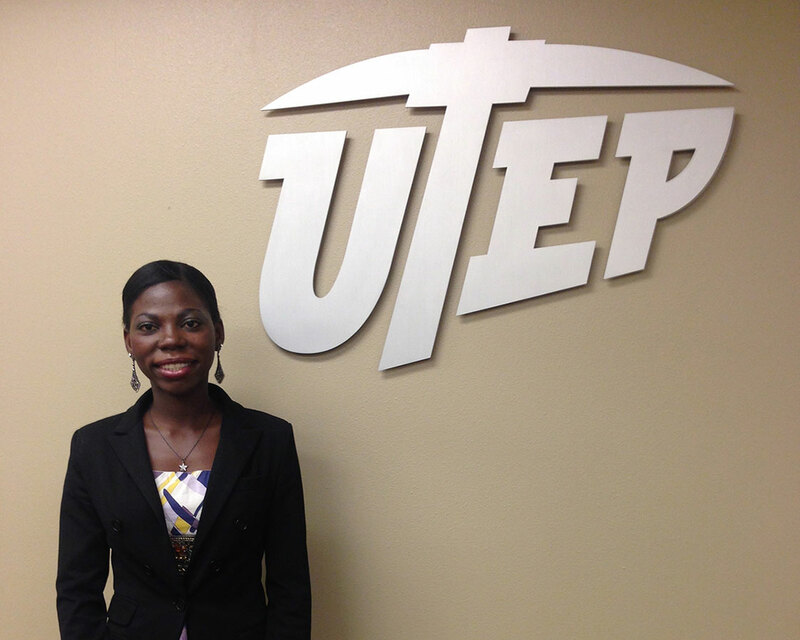 There are about 100 international students ay UTEP from African countries such as Nigeria, Kenya and Ghana, from a total of 3452 international students, a majority from Mexico. “International students in El Paso [who are Mexicans]are fortunate. International students who are not Mexican, like me, pay out-of-state tuition, which is so expensive,” Anom said. UTEP’s international student demographic is different from the rest of the country. According to the Institute of International Education census, China is the highest-ranking country of origin for international students in the United States. Fifty percent of UTEP’s 3452 international students are Mexican nationals (1 714), followed by 1206 students from India, or 35 percent of the total. Serving its demographic need, UTEP offers the Programa de Asistencia Estudiantil (PASE), which offers in-state tuition for qualifying Mexican national students. Financial aid programs directed specifically at non-Mexican international students are not offered at UTEP, and international students are not eligible for federal financial aid. “When international students come to me with a financial crisis I don’t have a lot of options,” said Kristin Oberheide, director of International Programs at UTEP. The majority of scholarships offered are for U.S. citizens only, and this limits the chances that international students can obtain a scholarship, and increases the level of competition. Last year, four UTEP international students were awarded the Good Neighbor Scholarship, a state scholarship that provides a one-year tuition to international students from the Western Hemisphere. Another option for UTEP international students is the Morrow Award, a financial endowment that grants $500 to three international students every year. At the graduate level, international students have an opportunity to earn funds as teaching and research assistants. At the undergraduate level, most scholarships are private or from the students’ home countries. International students can be eligible for part-time or full-time campus employment depending on their hours of enrollment. According to Oberheide, the first problem for any international student is filling out the I-20 form. After being accepted in the university of their choice, international students must confirm their financial resources with their I-20 certificate of Eligibility for Nonimmigrant Student Status. As a federal guideline, the I-20 form estimates the minimum cost of tuition, books, insurance, fees, and living expenses for individual universities during a 12-month period. This money must be presented as a fund, which could be retrieved at any time. “This is a big hurtle. Here at UTEP we have a relatively low cost of living of about $33,000 per year per person. This is a crazy amount of money you have to show,” said Oberheide. Most financial aid is not available for international students and scholarships are very rare, according to Oberheide. Finding a sponsor or a job are the options most international students have to pay for their stay in the U.S.
“We have our own way that we need help economically; it could be small grants or scholarships. We are not begging… we also want people that live in El Paso to think about us,” said Anom. If the student manages to fill out their I-20 form, their student visa is not yet guaranteed. The decision of whether or not they receive a visa rests heavily with the U.S. consular officer in their home country who conducts the visa interview. “I might be a bit fortunate, but most of my friends who are also equally qualified and have admissions to schools don’t make it to the schools, because when they went to the embassy or consulate they are denied their visa,” said Anom. Some students, according to Oberheide, do not follow the international student process correctly and enroll at the university without a student visa. “When I was going for my visa [interview]there was a lot of panic. It doesn’t matter that I have all my paper work. It goes down to those two or three minutes with the interviewer at the consulate,” said Abiodun Ambali, a nursing major from Nigeria. Ambali said the interview consists of questions about why a student wants to study in the U.S. and about their future plans. “Sometimes if you answer these questions too perfectly, or you are scared, you don’t get the visa,” said Ambali. Presenting too much evidence or paperwork at the consulate interview can also result in not obtaining a visa. Ambali she did a lot of prior research by interviewing friends and family who had already secured student visas. Individual factors may have an impact on the consular officer’s decision. 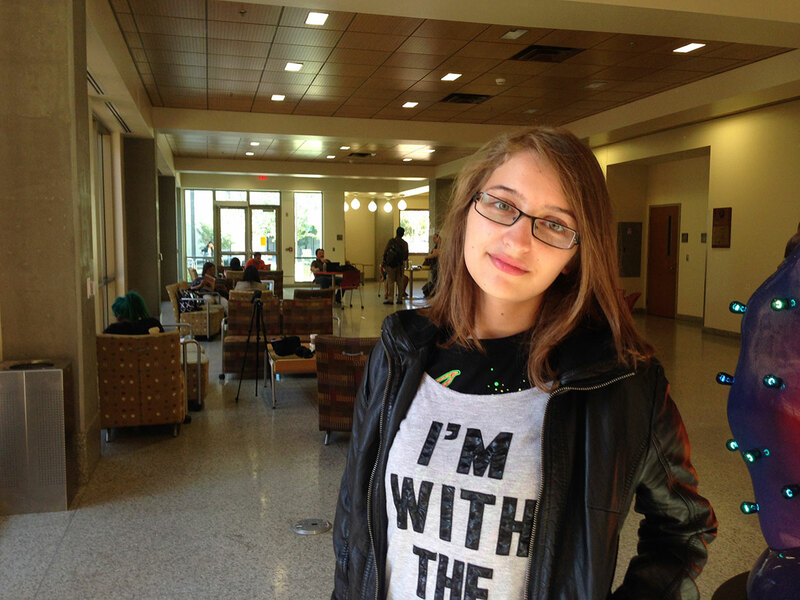 UTEP student Reem Issa, a Palestinian refugee to Syria who emigrated from the United Arab Emirates was only granted a student visa for three months. Her current situation is legal in the U.S., but when her I-20 is expires in five years she must travel back to United Arab Emirates and renew her visa and I-20. “I don’t want to go back because it’s so risky to not get a visa again. Also if I leave for more than six months they take away my (U.S.) residency,” said Issa, who studies pre-engineering. During her consulate interview, Issa says, “the interviewer was so kind to me because he saw I was scared. I was 18, and I wanted to go to school. He even told me I have to go visit Disneyland,” said Issa. To comply with the rules of the U.S. Immigration and Customs Enforcement, the UTEP Office for International Programs reports the international students’ status through the use of Student and Exchange Visitor Information System (SEVIS), which tracks and monitors the school’s exchange visitor program. International students must have proof they are taking classes, keep their forms up to date and applications active, and even report their working status. With about 500 Mexican national commuter students attending UTEP, the crossing of the international bridge has come to define the region’s culture. “When you are commuter student you start to recognize people who commutes with you, so you create a community among those who cross and those who sell stuff at the bridge,” said UTEP graphic design and advertisement student, Alejandra Urquide. Urquide is able to afford her tuition with her own money and says this has not been an issue to her, but commuting on a daily basis became the biggest issue for her. “Crossing requires a lot of commitment. It requires waking up four hours earlier and spent a long time at the bridge. During the summer it is hot as hell and on winter is super cold. It limits your activities, you can’t go home or back to Mexico because it requires a lot of effort to cross and you change your regular patterns of behavior and activities,” said Urquide. Even though Urquide describes the culture clash she faced at UTEP primarily on the way classes were taught, language was not a major issue for her. Eighty percent of El Paso’s population is considered Hispanic or Latino, and 72 percent speak other languages than English at home. For international students, the prevalence of Spanish speakers in El Paso has a major culture impact on them. “People speak to me in Spanish all the time; everybody speaks Spanish here and I have to say I don’t speak Spanish. I need to learn Spanish if I plan on staying here,” said Issa.